When I got the email for these I was totally amazed. Such a crafty idea for the Chocolate and biscuit lovers out there. 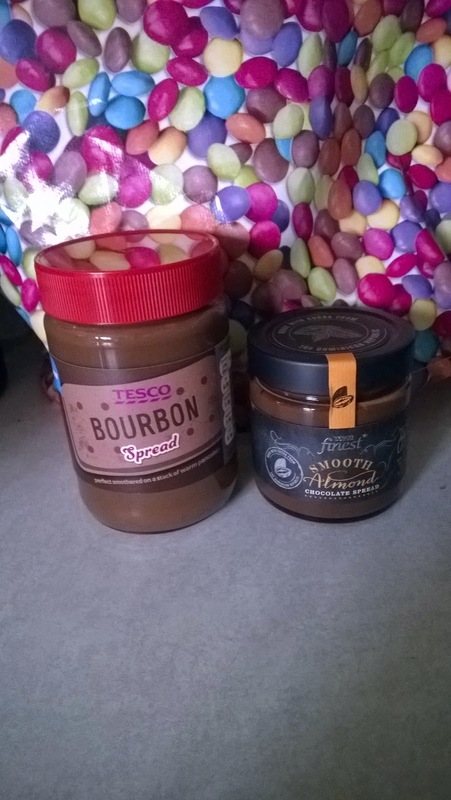 Tesco have combined chocolate or vanilla spread with favourite biscuit flavours. I'm not a massive chocolate spread lover, every now and again I do like some on a bit of toast and the kids do love a chocolate spread sandwich. My son doesn't really like spreads with a heavy nutty taste, where my daughter really doesn't mind. My favourite biscuit is a hob-nob, but I literally will sit and eat the whole packet so I don't really buy them now. 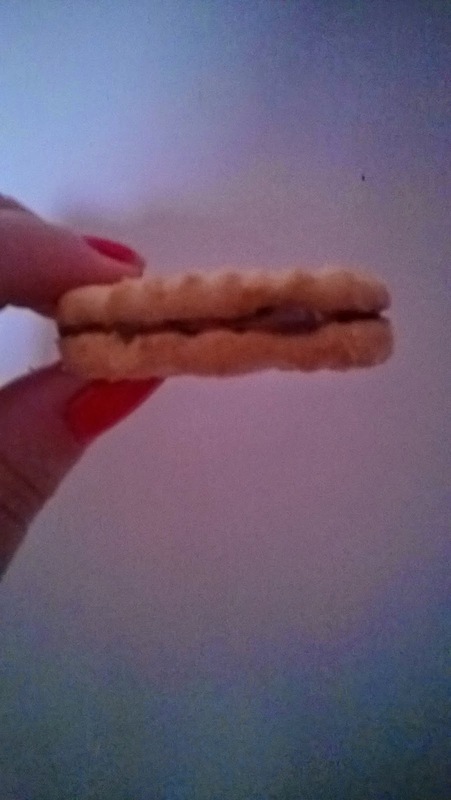 My second favourite is the bourbon I love to open the biscuit up eat the top layer then the bottom. We got sent a jar of the Bourbon Spread to try out and we are totally hooked. It tastes just like bourbon but smoother, its divine. I was pretty shocked how similar it tastes to the biscuit, I actually thought it may have the biscuit crumbled up in it, but its a thick smooth paste. It does go a bit runny once spread on something hot like toast. It would be perfect for dipping in with strawberries or fruit. The kids have had it on some bread and biscuits so far and its gone down a treat. In the range is also Custard Cream which is a rich vanilla creamy spread perfect for waffles. Cookies And Cream - Full of chocolate biscuit pieces and a smooth spread. Cookie Biscuit - Great alternative to buttercream. Chocolate flavour spread with pieces of biscuit and cocoa crisp. All of these would be perfect for a filling on a cake, if you wanted something different, waffles, pancakes or on biscuits the list is endless. We also got sent a Smooth Almond spread from Tesco's finest range, this was a bit rich for the kids and it left a strong nutty taste. You can tell its finer cocoa as the taste is so much different than the other spread. The spread is a thick solid spread and doesn't go runny when applied to toast. It was pretty rich in flavour that I could only manage one slice of toast with it on, its definitely more of a treat sort of spread. They also have other fantastic flavours in the finest range. Salted Caramel Chocolate Spread - Swirled with golden caramel and flecked with crystals of sea salt. 30% Dark Chocolate Spread - Dark intense flavour this rich dark spread pairs perfect with coffee. Hazelnut Chocolate Spread - Crunchy hazelnut pieces give a contrast to the smooth chocolate spread.